A “Superman Reborn Aftermath” tie-in! 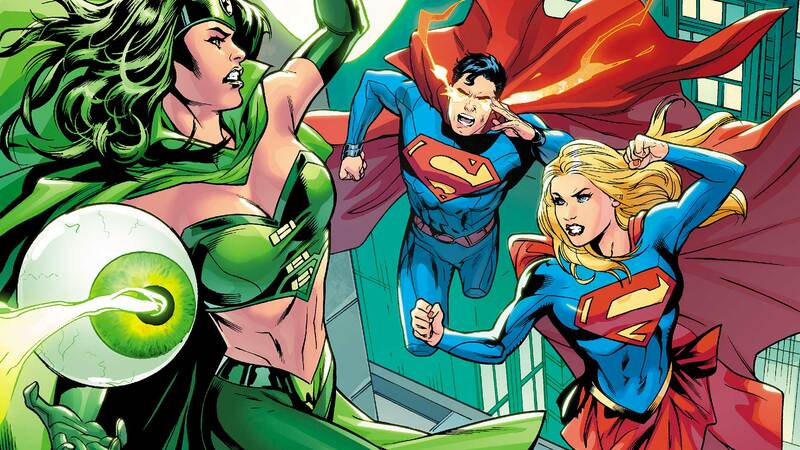 Superman and Supergirl meet again for the first time to face the evil of the Emerald Empress! Plus, what does it mean for the Girl of Tomorrow when tomorrow promises a Dark Knight? Shocking revelations, all-powerful sorceresses from the future, the Batgirl of Burnside and dinner in the Wild West—they’re all here in this amazing issue!